How Cost-Effective is Video Marketing? Video is one of the most engaging types of content around. As countless case studies show, videos help to build a recognisable company identity, which is vital to achieve the trust and loyalty of the audience. 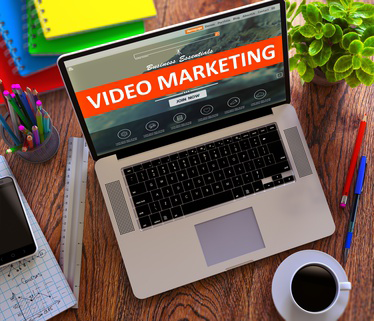 But how cost-effective is video marketing? It is a common misconception that producing and implementing a web video into the marketing strategy is costly. The key is to create once, re-purpose often and promote specifically for each channel to market you use. In doing so you will be using the same marketing collateral you have compiled for your other marketing campaigns. Here is an overview of how to make your videos work harder for you and why doing so improves their return on investment. Videos are one of the most versatile assets you can create and can be used in almost every area of the marketing plan. Despite the diversity of marketing channels, incorporating video content has the same result: increased engagement and click-through-rates and, ultimately, more conversions. Reusing the same video content will relieve pressure on financial resources and save time. Or it can be embedded onto the website itself to boost conversion rates. A textual transcript of a successful video can be used to create ideas for subsequent blog posts or articles on the same subject. Again, resources and time are saved as the original keyword research and analysis can be reused for similar articles. When it comes to potential reach, video is unbeaten and has the highest probability of becoming viral than any other content. YouTube alone receives more than one billion unique visitors and 6 billion hours of video content is watched every month. Repurposing shareable video content will expose you a wider audience across numerous platforms. When people share video content on social media sites, it exposes it to an audience outside the original target market. This ‘word of mouth’ marketing has a significant impact on conversions, as people are more likely to watch a video shared by people they know. This is why video has the highest organic reach of all types of content. Video content is a fast and effective way to answer customer queries and is considered a more credible source of information than written content. This makes videos more effective at persuading people to purchase a product or a service. In fact, 64% of consumers are more likely to buy a product after watching a video about it. Embedding a video onto product pages can raise conversion rates substantially, with professionally produced video optimized for e-commerce outperforming user-generated video by an average of 30%. Promoting a video into an email and social media campaigns can have a 41% higher click-through rate than plain text. In addition to this, 65% of videos on Facebook are watched on a mobile device. Google’s algorithms can be quite demanding and require a lot of time and effort to satisfy. What makes video content so cost-effective is the ability to fulfil many of their measurement criteria simultaneously. When hosting a video on your website, create a XML Sitemap and add it to Robots.txt before submitting it to Google. This process will give search engine rich meta-data about your video. Google measures how long users spend on a particular page to give them an idea of how relevant they found your content. The longer they spend on your page, the higher Google will rank that page against the search query. Having a video on embedded will help to keep the users attention longer than static text, thereby improving your search rankings. Similarly, high engagement with your content on social media channels will send “social signals” to Google, reinforcing your rankings whilst driving more traffic to your website. On average, video content is shared 1200% more times than links and written content combined. Higher engagement will lower the percentage of people who leave a page without interacting with it. A lower bounce rate ultimately means that more users have gone on to visit other pages on your website, indicating to Google that the website itself is relevant to the search query and resulting in higher rankings. Relevant and useful content is likely to be shared or linked to by reputable sources, creating valuable backlinks which are picked up by Google’s algorithms. In one study, 65% of executives have visited a seller’s site after watching a video. Including a transcript rich in keywords allows Google to crawl your content for relevance. This also allows you to target longer and more specific keywords or phrases, usually used by consumers who are closer to making a purchase, which is difficult to do with text. By doing this, you can drive these consumers to your website. SearchEngineWatch discovered that longer keywords are, on average, 66% more profitable than their shorter counterparts. The ability for a web video to meet marketing objectives is unparalleled, and, over time, can generate a high return on investment. In fact, 52% of professional marketers believe video content has the highest return on investment than any other content. Considering making a video can be produced on a low budget, it is an extremely cost effective and valuable to any business. Nonetheless, it is important to remember that complementary marketing is just as important. Written content on landing pages, for example, act to reinforce and continue the videos message and should not be overlooked. Re-purposing content will require adapting the strategy according to how each specific medium is used. For example, more videos are shared on Facebook, while Twitter is great for sharing pictures and links. Delivering your message in different ways increases retention and impact of the content. This web site really has all of the information and facts I needed about this subject and didn’t know who to ask. Having read this I believed it was really enlightening. I appreciate you spending some time and effort to put this information together. I once again find myself personally spending way too much time both reading and commenting. But so what, it was still worth it! Thanks for the comment! Feel free to have a read of more of our articles!